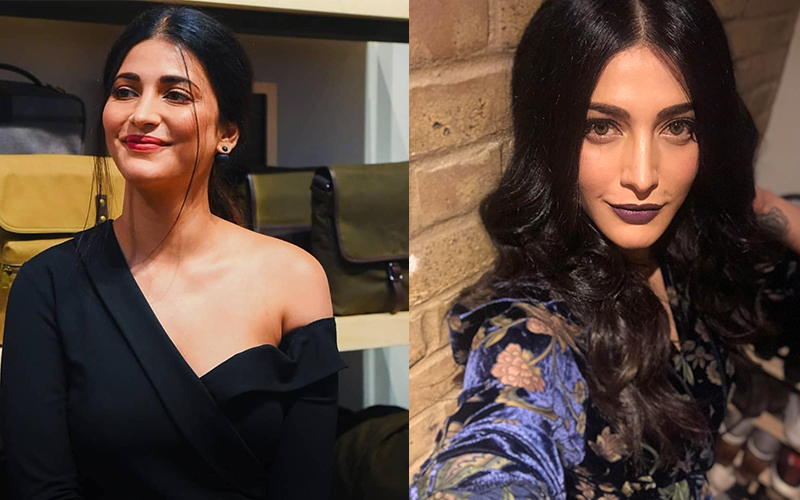 Versatile actress, musician and producer Shruti Haasan is currently concentrating on her musical journey which she kickstarted at the age of six years. Having performed over 100 musical gigs already, she stage the stage on fire with her zestful rock infused performance at a sold-out show at her dream venue and London’s most iconic live music venues, The Troubadour, playing out acoustic versions of her singles which will be released this year as part of her upcoming EP. Established in 1954 as a coffee house, The Troubadour has hosted some of the world’s most iconic musicians including Bob Dylan, Elton John, Adele, Ed Sheeran. The evening which saw a heterogeneous mix of attendees was organised by Power Studio and Benny D, an award-winning producer who has worked with the likes of Boy George, Kylie Minogue, The Killers, Lily Allen, Robbie Williams, Stormzy and Depeche Mode. Earlier in September last year, she received excellent reviews for her debut performance at The Ned, London. Additionally, she headlined the largest global Independence Day congregation, The India Day Parade on 15th of August 2018 in Madison Avenue, New York and presented her poignant rendition of Vande Mataram to an audience of over 15,000 people! TV anchor Rangaraj Pandey, director Adhik Ravichandran to make acting debut in Ajith’s upcoming film!! !